1,927,988 identified as ethnic Ukrainians in the 2010 Russian census. Predominantly Christians (55%). Many consider themselves non-religious. Ukrainians in Russia make up the largest single diaspora group of the Ukrainian people. In 2010 1.9 million Ukrainians lived in Russia, representing over 1.4% of the total population of the Russian Federation and comprising the third-largest ethnic group - after ethnic Russians and Tatars. An estimated 340,000 people born in Ukraine (mostly youths) permanently settle legally in Russia each year. Since the Euromaidan and the still ongoing War in Donbass at least 2,500,000 Ukrainian refugees have settled in Russia as of 2015. There are almost 5 6(-8) mln Ukrainian refugees and workers in Russia, around more or less of 1 bn $/€ of workpay revenue sent back at home. Following the outbreak of the Donbass War in 2014, over 420,000 asylum-seekers and refugees from Ukraine had registered in Russia as of November 2017[update]. The Soviet Union was officially a multicultural country with no official national language. On paper all languages and cultures were guaranteed state protection Union-wide. In reality, however, the Ukrainians were granted the opportunity to meaningfully develop their culture only within the administrative borders of the Ukrainian Republic, where the Ukrainians had a privileged status of being the titular nation. As many Ukrainians migrated to other parts of the USSR, the cultural separation often led in their assimilation, particularly within Russia, which received the highest percentage of the Ukrainian migration. In Siberia, 82% of Ukrainians entered mixed marriages, primarily with Russians. This meant that outside the Ukrainian SSR, there was little or no provision for continuing a diaspora function. As a result, Ukrainian-language press was soon found only in large cities such as Moscow. Ukrainian cultural attributes such as clothing and national foods were preserved. According to a Soviet sociologist, 27% of the Ukrainians in Siberia read printed material in Ukrainian and 38% used the Ukrainian language. From time to time, Ukrainian groups would visit Siberia. Nonetheless, most of the Ukrainians there did assimilate. As of 2007, the number of Ukrainian illegal immigrants has been estimated as being between 3-11 million. many Ukrainians came illegally so the true number of Russian Ukrainians has been unknown. Many Ukrainians have been viewed as illegal immigrants and criminals, and many complain of racism. Some have compared this to how Mexicans are viewed in the United States. During and after the 2014 annexation of Crimea by Russia and the Russian military intervention in Ukraine, Ukrainians living in Russia complained of being labelled a "Banderite" (follower of Stepan Bandera); even when they were from parts of Ukraine were Stephan Bandera has no popular support. As of September 2015, there were 2.6 million Ukrainians living in Russia, more than half of them “guest workers,” but about a million more who’d arrived in the previous eighteen months after fleeing Ukraine, according to the Russian federal migration service. About 400,000 had applied for refugee status and almost 300,000 had asked for temporary residence status, with another 600,000 in considered to be in breach of migration rules. By November 2017, there were 427,240 asylum-seekers and refugees from Ukraine registered in Russia. The refugees are from the territories of Donetsk and Luhansk People's Republics taken over by pro-Russian rebels since the War in Donbass. Most refugees have headed to rural areas in central Russia. Major destinations for Ukrainian migrants have included Karelia, Vorkuta, Magadan Oblast; oblasts such as Magadan and Yakutia are destinations of a government relocation program since the vast majority avoid big cities. Ukrainians in the Russian Federation represent the third largest ethnic group after Russians and Tatars. In spite of their relatively high numbers, some Ukrainians in Russia complain[when?] of the unfair treatment and the prevailing anti-Ukrainian sentiment in the Russian Federation. In November 2010, the High Court of Russia cancelled registration of one of the biggest civic communities of the Ukrainian minority, the "Federal nation-cultural autonomy of the Ukrainians in Russia" (FNCAUR). The vast majority of Ukrainians in Russia are adherents of the Russian Orthodox Church. The Ukrainian clergy had a very influential role on Russian Orthodoxy in the 17th and 18th centuries. In the 1920s a policy of Decossackization was pursued. At the same time, the Bolshevik authorities supported policies that promoted the Ukrainian language and self-identity, opening 700 Ukrainian-language schools and a Ukrainian department in the local university. Russian historians claim that Cossacks were in this way forcibly Ukrainized, while Ukrainian historians claim that Ukrainization in Kuban merely paralleled Ukrainization in Ukraine itself, where people were being taught in their native language. According to the 1926 census, there were nearly a million Ukrainians registered in the Kuban Okrug alone (or 62% of the total population) During this period many Soviet repressions were tested on the Cossack lands, particularly the Black Boards that led to the Soviet famine of 1932-1934 in the Kuban. Yet by the mid-1930s there was an abrupt policy change of Soviet attitude towards Ukrainians in Russia. In the Kuban, the Ukrainization policy was halted and reversed. In 1936 the Kuban Cossack Chorus was however re-formed as were individual Cossack regiments in the Red Army. By the end of the 1930s many Cossacks' descendants chose to identify themselves as Russians. From that moment onwards almost all of the self-identified Ukrainians in the Kuban, date to non-Cossacks, the Soviet Census of 1989 showed that a total of 251,198 people in Krasnodar Kray (including Adyghe Autonomous Oblast) who were born in the Ukrainian SSR, and moved there by time of census. In the 2002 census, the number of people who identified themselves as Ukrainians in the Kuban was recorded to be 151,788. Despite the fact that most of the Kuban Cossacks descendants do not think of themselves as being nationally Ukrainians, and identify themselves as Russian nationals., many elements of their unique culture originates from Ukraine, such as the Kuban Bandurist music, and the dialect called Balachka which they speak. Moscow's Ukrainians played an active role in opposing the attempted coup in August 1991. According to the 2001 census, there are 253,644 Ukrainians living in the city of Moscow, making them the third largest ethnic group in that city, after Russians and Tatars. A further 147,808 Ukrainians live in the Moscow region. The Ukrainian community in Moscow operates a cultural centre on Arbat Street (whose head is appointed by the Ukrainian government), publishes two Ukrainian-language newspapers, and has organized Ukrainian-language Saturday and Sunday schools. According to the latest census, there are 87,119 Ukrainians living in the city of St Petersburg, where they constitute the largest non-Russian ethnic group. The former Mayor, Valentina Matviyenko (née Tyutina) was born in Khmelnytskyi Oblast of western Ukraine and is of Ukrainian ethnicity[verification needed]. Zeleny Klyn is often referred to as Zelena Ukraina. This is an area of land settled by Ukrainians which is a part of the Far Eastern Siberia located on the Amur River and the Pacific Ocean. It was named by the Ukrainian settlers. The territory consists of over 1,000,000 square kilometres and has a population of 3.1 million (1958). The Ukrainian population in 1926 made up to 26% of the population. In the last Russian census, 94,058 people in Primorsky Krai claimed Ukrainian ethnicity, making Ukrainians the second largest ethnic group and largest ethnic minority. The Ukrainian settlement of Siry Klyn (literally: the "grey wedge") developed around the city of Omsk in western Siberia. M. Bondarenko, an emigrant from Poltava province, wrote before World War I: "The city of Omsk looks like a typical Moscovite city, but the bazaar and markets speak Ukrainian". All around the city of Omsk stood Ukrainian villages. The settlement of people beyond the Ural mountains began in the 1860s. 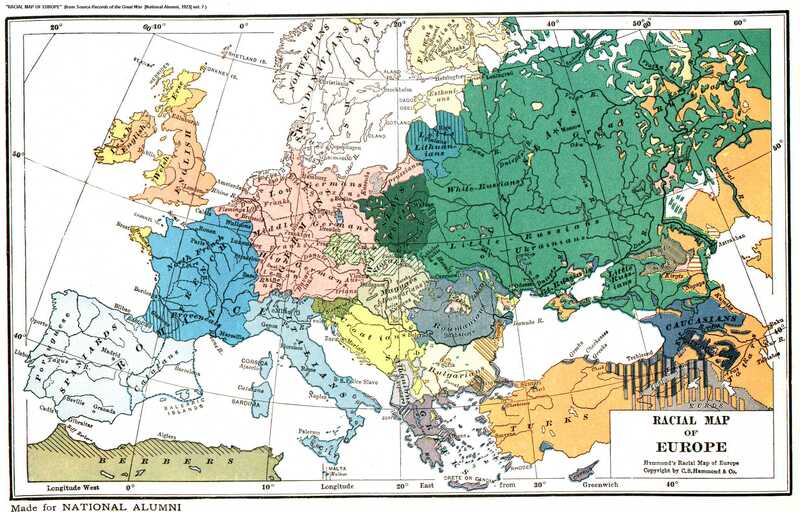 There were attempts to form an autonomous Ukrainian region in 1917-1920. Altogether before 1914 1,604,873 emigrants from Ukraine settled the area. According to the 2010 Russian census, 77,884 people of the Omsk region identified themselves as Ukrainians, making Ukrainians the third-largest ethnic group there, after Russians and Kazakhs. Norilsk was founded as a series of Gulag camps that mostly included Ukrainian collaborators with Nazi Germany who were from the western Ukraine (unlike most other Ukrainians in Russia, who are from the east). Norilsk is the only inhabited locality in Russia (excluding villages) with a Ukrainian majority. Ukrainians make up 59-80 percent of Norilsk's population. Many of their descendants keep their Ukrainian identity. Norilsk, notably, has accepted refugees from the Ukraine due to family ties with the Ukraine. ^ Всероссийская перепись населения 2010 г.: Национальный состав населения Российской Федерации [Russian Population Census 2010: National composition of the population of the Russian Federation]. Russian Federal Service of State Statistics (in Russian). Demoscope.ru. 21 March 2013. Archived from the original on 30 May 2012. Retrieved 3 June 2016. ^ "Арена в PDF : Некоммерческая Исследовательская Служба "Среда"". Sreda.org. Retrieved 20 April 2014. ^ "MPC Migration Profile: Ukraine" (PDF). European University institute, Migration Policy Centre. June 2013. Retrieved 27 September 2016. ^ a b "Ukraine: UNHCR Operational Update, 01 - 30 November 2017". ReliefWeb. Retrieved 1 February 2018. ^ Kagramanov, Yuri (2006). 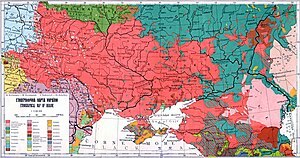 Война языков на Украине [The War of Languages in Ukraine]. Novy Mir. magazines.russ.ru. Retrieved 27 September 2016. 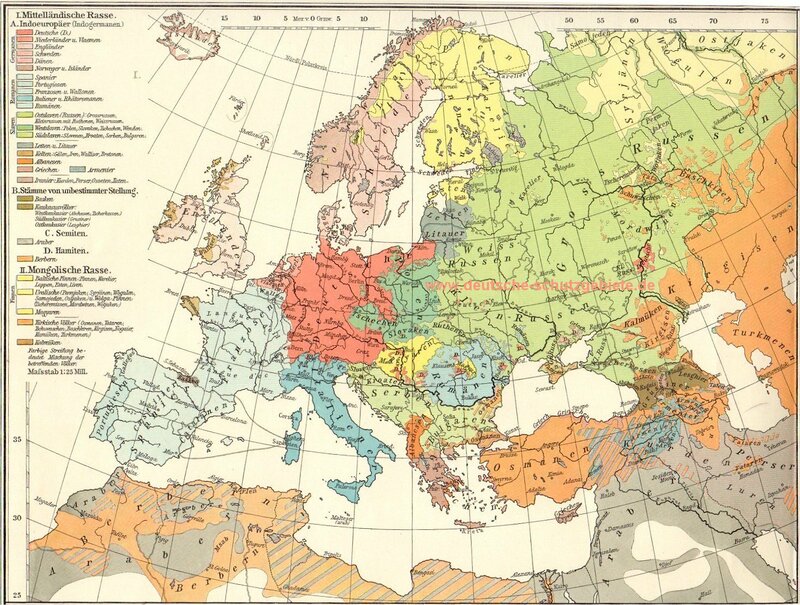 ^ 1897 Census on Demoscope.ru Retrieved Archived 28 May 2012 at the Wayback Machine on 20 May 2007. ^ Kulchitsky, Stanislav (26 January 2006). Империя и мы [The Empire and We]. Den (in Russian). day.kiev.ua. Archived from the original on 17 June 2009. Retrieved 19 March 2007. ^ "Nearly 3.5 million Ukrainians work in Russia". unian.info. 25 February 2009. Archived from the original on 27 February 2014. Retrieved 28 September 2016. ^ Düvell, Franck (2007). "Research Resources Report 1/3: Country Profile: Ukraine – Europe's Mexico?" (PDF). Centre on Migration Policy and Society, School of Anthropology, University of Oxford. Archived from the original (PDF) on 24 December 2014. ^ a b Weir, Fred (1 December 2015). "Ukrainian refugees in Russia: Did Moscow fumble a valuable resource?". The Christian Science Monitor. Retrieved 3 June 2016. ^ Malinkin, Mary Elizabeth; Nigmatullina, Liliya (4 February 2015). "The Great Exodus: Ukraine's Refugees Flee to Russia". The National Interest. Retrieved 3 June 2016. ^ Открытое письмо Комиссару национальных меньшинств ОБСЕ господину Максу Ван дер Стулу [Open letter to the Commissioner for National Minorities for the OSCE, Mr. Max van der Stoel] (in Russian). Ukrainians of Russia - Kobza. 30 September 2000. Archived from the original on 27 September 2007. Retrieved 20 November 2007: Open letter to the OSCE from the Union of Ukrainians in the Urals. ^ Гарантуйте нам в Росії життя та здоров'я! [Guarantee us life and health in Russia!] (in Ukrainian). Ukrainians of Russia - Kobza. 31 December 2006. Archived from the original on 21 March 2008. Retrieved 20 November 2007: Letter to President Putin from the Union of Ukrainians in Bashkiria. ^ Nalyvaichenko, Valentyn (26 January 2011). "Nalyvaichenko to OSCE: Rights of Ukrainians in Russia systematically violated". KyivPost. Archived from the original on 14 September 2011. ^ Lozynskyj, Askold S. (30 January 2002). "The Ukrainian World Congress regarding the census in Russia". Ukrainians of Russia – Kobza. Archived from the original on 2 December 2007. ^ "The first Catholic church in Russia built in the Byzantine style has been blessed". ugcc.org.ua. 24 October 2007. Archived from the original on 22 December 2007. ^ a b Zakharchenko, Viktor (1997). Народные песни Кубани [Folk songs of the Kuban]. geocities.com (in Russian). Archived from the original on 11 February 2002. Retrieved 7 November 2007. ^ Kaiser, Robert (1994). The Geography of Nationalism in Russia and the USSR. Princeton University Press, New Jersey. ISBN 0-691-03254-8. ^ "Russian census 2002". Retrieved 22 April 2007. ^ Trylenko, Larysa (29 December 1991). "The coup: Ukrainians on the barricades". The Ukrainian Weekly. ukrweekly.com. LIX (52). Archived from the original on 20 May 2006. ^ Всероссийская перепись населения 2002 года - Москва [National Population Census 2002 - Moscow] (in Russian). Demoscope.ru. 19 September 2016. Retrieved 27 September 2016. ^ "Kyiv-appointed head of Ukrainian Cultural Center in Moscow intimidated by Russian personnel". Unian.info. 21 September 2016. Retrieved 27 September 2016. ^ Kraliuk, Petro (7 July 2009). "Mazepa's many faces: constructive, tragic, tragicomic". The Day. Retrieved 27 September 2016. ^ Всероссийская перепись населения 2002 года - Санкт Петербург [National Population Census 2002 - St. Petersburg] (in Russian). Demoscope.ru. 19 September 2016. Retrieved 27 September 2016. ^ Всероссийская перепись населения 2002 года - Приморский край [National Population Census 2002 - Primorsky Krai] (in Russian). Demoscope.ru. 19 September 2016. Retrieved 27 September 2016. ^ Всероссийская перепись населения 2002 года: Приморский край [Russian Population Census 2002: Primorsky Krai] (in Russian). Demoscope.ru. 2002. Retrieved 3 June 2016. ^ Национальный состав населения Российской Федерации 2010 г. [National composition of the population of the Russian Federation in 2010]. Russian Federation - Federal State Statistics Service (in Russian). Retrieved 3 June 2016. ^ Украинцы в России: еще братья, но уже гости - О "средне-потолочной" гипотезе про 4 миллиона "заробітчан" в РФ и бесславном конце "Родной Украины" [Ukrainians in Russia: still brothers, but now guests - On the "medium ceiling" hypothesis on 4 million "(Ukrainian) workers" in the RF and the inglorious end of "Mother Ukraine"] (in Russian). Ukrainians of Russia – Kobza. 18 June 2006. Archived from the original on 10 November 2007. Kubiyovych, Volodymyr. Entsykolpedia Ukrainoznavstva Vol. 7. Zaremba, S. (1993). From the national-cultural life of Ukrainians in the Kuban (1920 and 1930s). Kyivska starovyna. pp. 94–104. Lanovyk, B.; et al. (1999). Ukrainian Emigration: from the past to the present. Ternopil. Petrenko, Y. (1993). Ukrainian cossackdom. Kyivska starovyna. pp. 114–119. Ratuliak, V. (1996). Notes from the history of Kuban from historic times until 1920. Krasnodar. This page was last edited on 25 April 2019, at 04:16 (UTC).